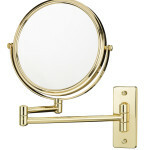 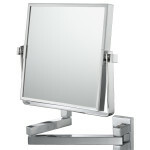 The retro look to the Extension Arm Wall Mirror is the perfect accent to any vintage bathroom or vanity. 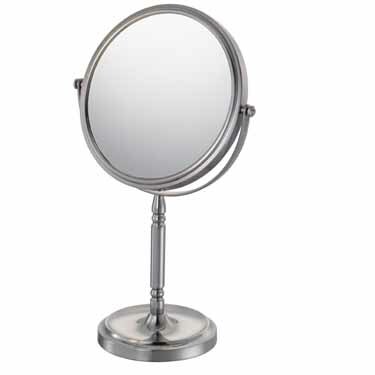 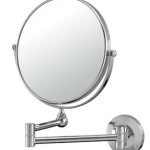 Its 1x/5x magnification, 7” diameter mirror, and 16.5” arm extension provides a unique, enjoyable feel for any bathroom. 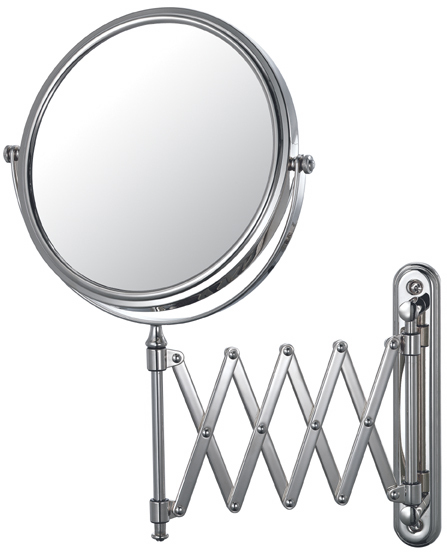 Available in two finishes. 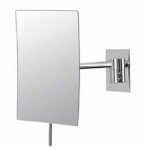 Plate Dimensions: 7.38" X 1.75"
Retracted Width Wall Space: 9"
Retracted Height Wall Space: 15.25"
Extended Distance From Wall: 16.5"
Retracted Distance From Wall: 1.75"